Stores do not get lots of extra copies of the Penny Pincher booklets. Part of the contracts made with the vendors featured is that they issue all booklet by direct mail, and one per household. Likewise, your postal person is not allowed to hand you extra copies. Neighbors become GOOD neighbors when they share their unwanted pennies! I’m often asked about the usage of multiple Penny Pinchers. Yes, if you shop another day, with a duplicate Penny Pincher, it will clear to your purchase without any problems. We do have a place in our stores for swapping coupons. 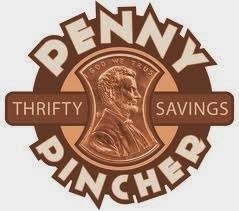 So if you find that you really want to shop twice and use a penny pincher offer again, it will clear. This is not a secret, many of you know this. Our members will trade Pennies amongst themselves. I often want extra kids foods, and other members want foods I do not plan to buy. We are allowed to trade them at club, or place extra coupons in our swap bins. The next step is finding a good Manufacturer’s match to the store coupon. Usually I find around 4 per month that make a good matches. . Be sure to take a look at our print N Save blog that comes out on Mondays. I often put links to penny pincher printables in that section.